Joakim Bonnier (1930 - 1972) signed portrait postcard. 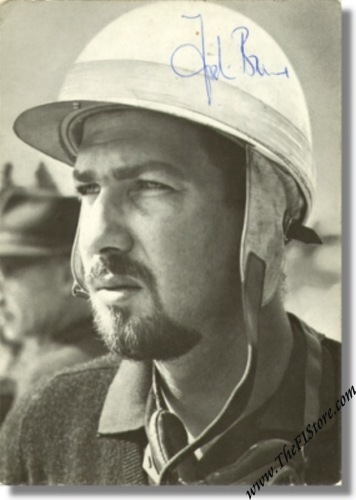 This card shows a portrait of Jo during his time as a Porsche works driver. Signed in person by Jo on the front. 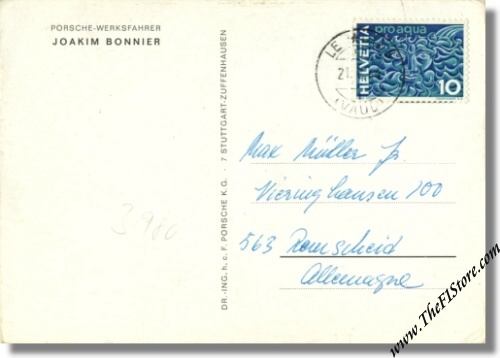 This is a postcard that was sent by Jo to a fan in Germany on May 21, 1964 (see scan). The card measures some 15 x 11 cm or 6 x 4.5 inches.